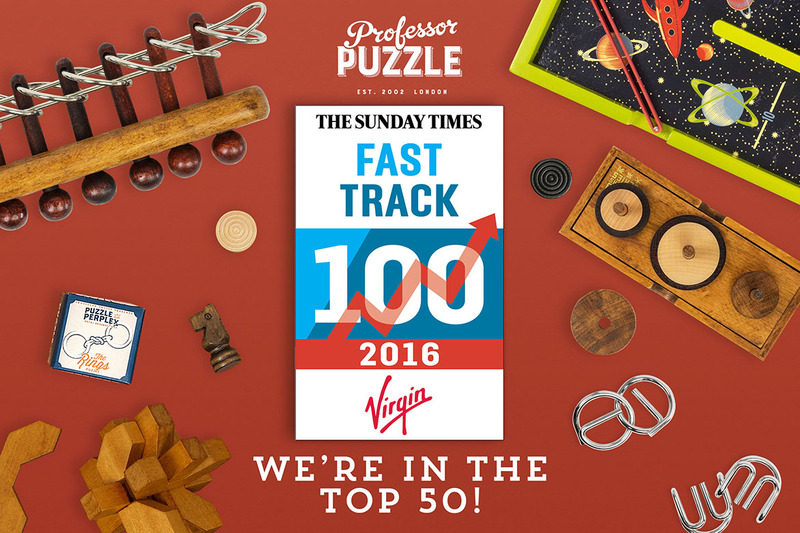 We are delighted to announce that Professor Puzzle has been placed at number 39 in the 20th anniversary edition of the Sunday Times Virgin Fast Track 100, to be published in the Business section of the Sunday Times on the 4th December. 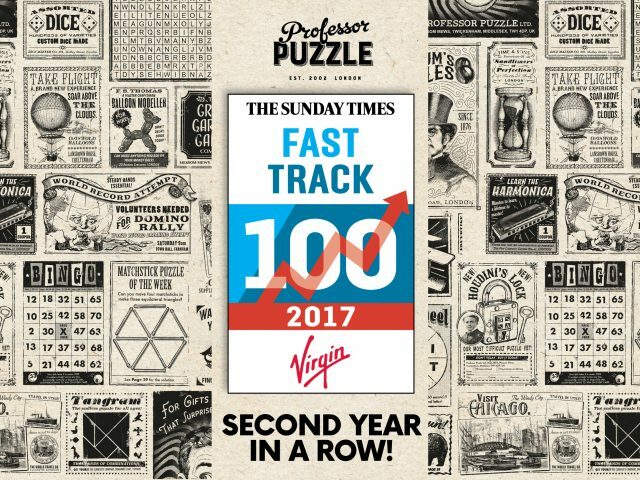 The Sunday Times Virgin Fast Track 100 league table ranks Britain’s 100 private companies with the fastest-growing sales over their latest three years, and represents a huge achievement for us! 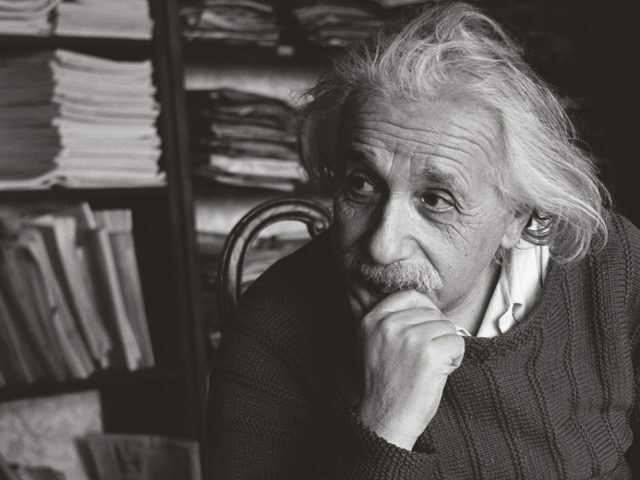 The business started in 1999, with only a £250 investment. 17 years later our 76.87% annual sales rise over the last three years has won us this coveted position on the Fast Track league table. We couldn’t be prouder of the Professor Puzzle team who helped make this happen and would also like to thank our customers for all their support in helping us to reach this position!